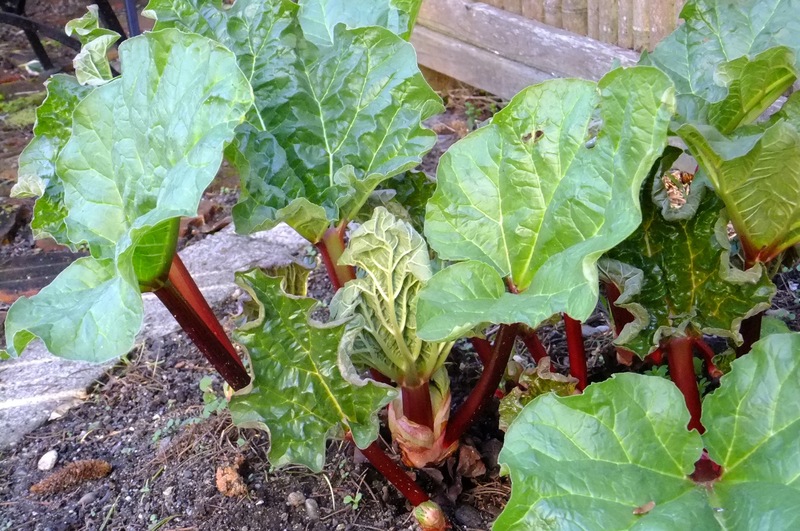 Rhubarb is an underused edible perennial. It offers seasonal variation with bold red stems in spring, handsome large foliage throughout the growing season, and a tall spire of cream flowers that can add visual appeal. Cooked stems can be eaten as a tangy vegetable or in chutney. Deep organic soil produces vigorous plants. Check regularly for snails. Remove flower stem after initial bloom to redirect growth into stems and foliage. While the leaves are toxic to ingest, they provide excellent biomass for sheet mulching or added to the compost.